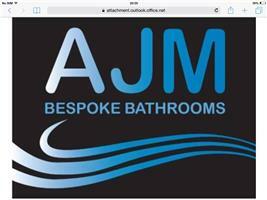 AJM Bespoke Bathrooms - Bathrooms, Plumber based in Bournemouth, Dorset. Welcome to AJM Bespoke Bathrooms, specialists in designing and installing beautiful and affordable bathrooms tailored to you. We are a family run business based in Poole, we cover all of Dorset and surrounding areas, we do everything from leaky taps to full bathroom design and installation.